The Power of Cartoons | When Do They Serve The Wine? Cartoons have amazing power to make people laugh. But they can also make people think, and that is what my TED talk is going to be about. Check in here in the next few days, where I will write about the experience and post cartoons (such as the one above) from the talk and from the exhibit I curated for the conference. 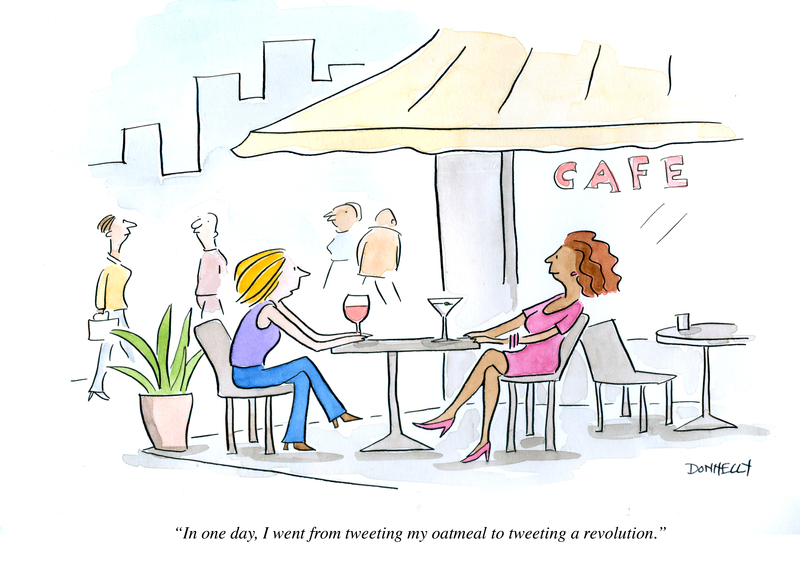 This entry was posted in Events, Random but Relevant and tagged Cartoon, TED, TED (conference), TEDWomen, women. Bookmark the permalink. Just watched the TED talk on YouTube. Loved it!